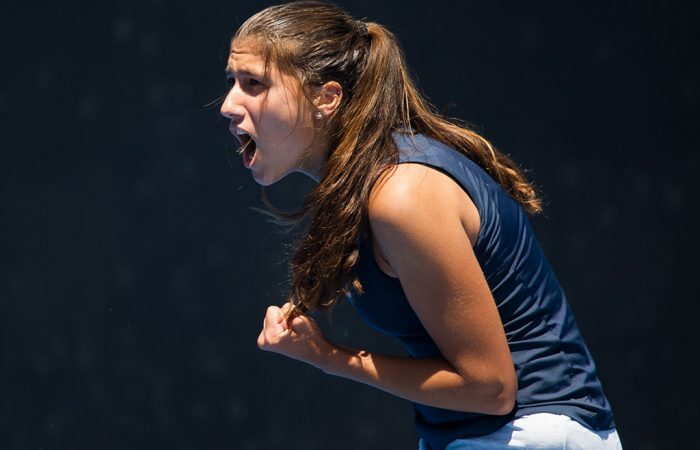 Jaimee Fourlis and Lizette Cabrera advanced to the final four of the French Open Women's Wildcard Play-off with victories on Friday at Roland Garros. 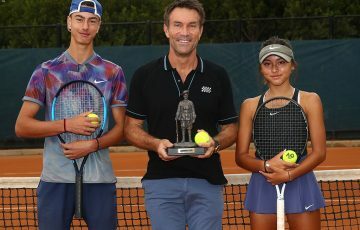 Australian youngsters Jaimee Fourlis and Lizette Cabrera moved a step closer to the main draw at Roland Garros after wins in the first round of the French Open Women’s Wildcard Play-off. 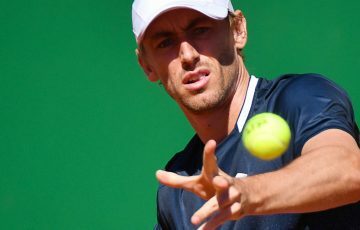 Playing on outer courts at Roland Garros on Friday, Fourlis stopped Priscilla Hon in a lengthy three-set battle while Cabrera subdued Storm Sanders in straight sets. 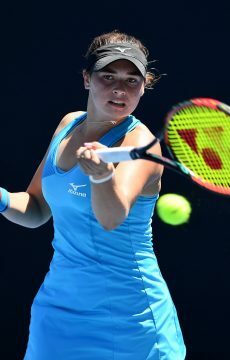 Fourlis, who won the AO Wildcard Play-off in December to earn a spot in the main draw of Australian Open 2017, said she had enjoyed the chance to build on her breakthrough Australian summer. “I think (I come into this play-off) with a lot of confidence,” she said after beating Hon 6-2 3-6 6-3. “Being around everybody during the Australian Open was a great experience and I learned so much there. (I’m) just trying to take all the confidence from the Aussie Open to playing (ITF) 25s in Germany and just throughout my whole European season the last couple of weeks. Fourlis and Hon engaged in a series of brutal rallies that showed off their respective shot-making skills. Hon, perhaps the more natural claycourter of the two, did well to stem the Fourlis tide and sent the match into a third set thanks to heavy serving and power from the back of the court. Yet Fourlis was rewarded for her greater aggression and relentlessness, opening up a 4-0 lead in the third before Hon got on the board. Unfortunately for the Queenslander, it was too little, too late. Fourlis played a commanding return game in the final game to seal victory in two hours and 15 minutes. “She’s a great player, Pri. She can be very dangerous when she’s on. 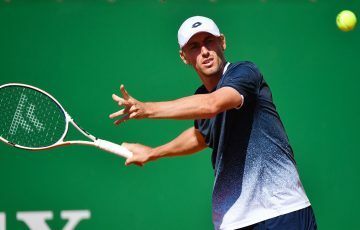 I just had to stick to my guns and play within myself and try to get the job done,” said Fourlis, who will next meet top seed Arina Rodionova, who received a first-round bye. “I thought I was really positive after dropping the second set. I kind of just had to re-group and just start again and believe that I could win the third set, and just put all intensity into my mindset. Cabrera, meanwhile, says she prefers hard and grass courts but nonetheless displayed some impressive claycourt nous during her 6-3 6-2 win over Sanders. “Being over here (in Europe) early and playing a lot of tournaments on the clay, I’ve really learned how to play good claycourt tennis and I’m feeling really comfortable out there,” she said. Cabrera came to attention after a fabulous 2016 season during which she shot up the rankings from outside the top 1,000 to almost inside the top 250; she peaked at No.172 earlier this month. This year she’s found the going tougher – in 14 events so far she has won just eight of 22 matches. 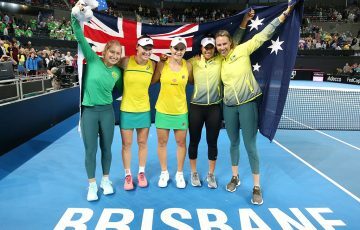 Yet despite this, the Queenslander says she’s enjoyed adjusting to the higher level of competition and tournaments that she now finds herself regularly contesting. “I’m just looking to build and improve every match that I play. I did have a really good run last year,” said Cabrera, who next takes on Isabelle Wallace. Wallace received a walkover into the semifinals after opponent Destanee Aiava withdrew. 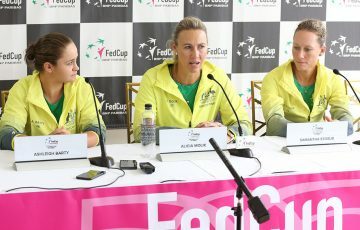 “This year is a whole new year – I’m playing tougher tournaments, tougher girls. Every match has been really close but just haven’t been able to get over the line yet. I was really happy with the way I played today. “The level just gets better and better (now I’m ranked when I am). The girls are bigger and stronger, they play longer and tougher points. So you can just sense the professionalism around the tournaments and it’s really good to be around and I’m really happy I’m at this level. The wildcard play-off semifinals will take place at Roland Garros from 10am Paris time. The semifinal victors will progress to Sunday’s final, the winner of which earns a Roland Garros 2017 main draw wildcard.